Ruminant fodder production in agricultural lands in latitudes above the Arctic Circle is constrained by short and hectic growing seasons with a 24-hour photoperiod and low growth temperatures. The use of remote sensing to measure crop production at high latitudes is hindered by intrinsic challenges, such as a low sun elevation angle and a coastal climate with high humidity, which influences the spectral signatures of the sampled vegetation. We used a portable spectrometer (ASD FieldSpec 3) to assess spectra of grass crops and found that when applying multivariate models to the hyperspectral datasets, results show significant predictability of yields (R2 > 0.55, root mean squared error (RMSE) < 180), even when captured under sub-optimal conditions. These results are consistent both in the full spectral range of the spectrometer (350–2500 nm) and in the 350–900 nm spectral range, which is a region more robust against air moisture. Sentinel-2A simulations resulted in moderately robust models that could be used in qualitative assessments of field productivity. In addition, simulation of the upcoming hyperspectral EnMap satellite bands showed its potential applicability to measure yields in northern latitudes both in the full spectral range of the satellite (420–2450 nm) with similar performance as the Sentinel-2A satellite and in the 420–900 nm range with a comparable reliability to the portable spectrometer. The combination of EnMap and Sentinel-2A to detect fields with low productivity and portable spectrometers to identify the fields or specific regions of fields with the lowest production can help optimize the management of fodder production in high latitudes. Lunnan, T., Todnem, J. & Jørgensen, M. 2018. Botanical composition of grassland for silage in mountain districts of Norway (Poster). 27th General Meeting of the European Grassland Federation,, Cork. Sustainable meat and milk production from grasslands. Proceedings of the 27th General Meeting of the European Grassland Federation. Grassland Science in Europe 1(23) 2018. s. 274-276. 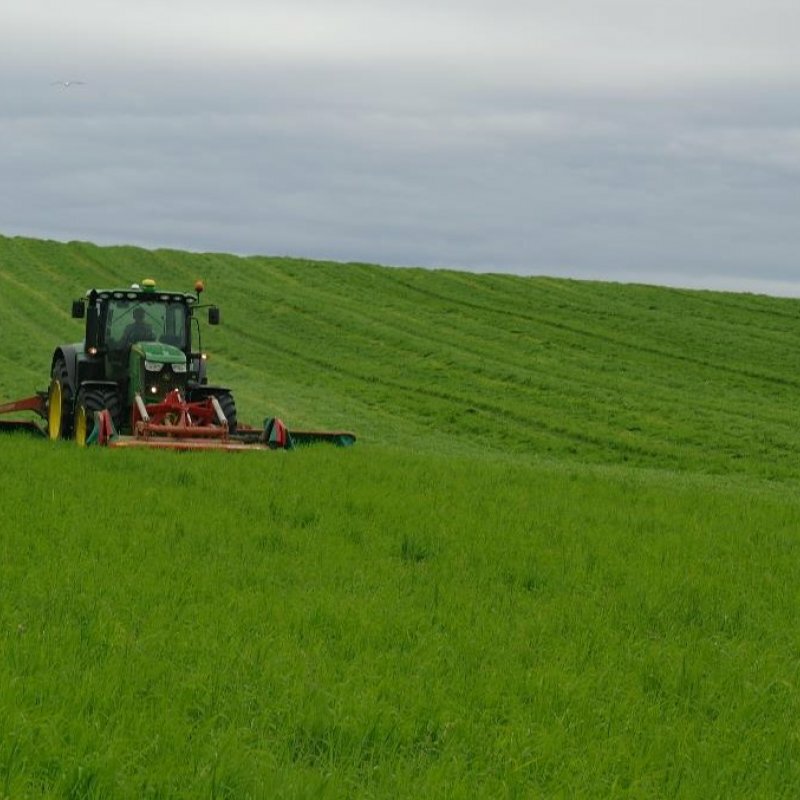 Knowledge about the botanical composition of grassland for silage is important regarding composition of seed mixtures, control of weeds, choice of harvest times and feeding strategies. The botanical composition of 185 fields in the mountain regions of southern Norway was examined using the dryweight rank method. The survey shows that the youngest grasslands (age 1 - 3 years) were dominated by the sown species with Phleum pratense L. the species with the highest proportion in the sward. In 4 - 6 year old grasslands, the proportion of sown species was reduced with the exception of Poa pratensis L., and Elytrigia repens L. had the highest proportion of unsown species. The proportion of Festuca pratensis (Huds.) was reduced at the same rate as Phleum pratense L. In grasslands of greater age (> 6 years) Poa pratensis L. and Elytrigia repens L. had the highest occurrence. The content of herbs increased with age, and Ranunculus repens L. and Taraxacum officinale F.H. Wigg were the most frequent species. The average clover content was < 6% of DM yield. The impact of Elytrigia repens L. on forage yield and quality should be further examined due to the high occurrence. Poa pratensis L. or other long-lasting grass species should be included in seed mixtures for this region when the grassland is intended to last more than three years. Foredrag – Botanisk sammensetning, avling og fôrkvalitet i eng i Nord-Norge. Jørgensen, M. 2018. Botanisk sammensetning, avling og fôrkvalitet i eng i Nord-Norge. (Foredrag). Sluttseminar i prosjektet Remote sensing, Tromsø. Foredrag – Bruk av fjernmåling til overvåking av engareal i N-Norge – kan det komme bonden til nytte? Jørgensen, M. 2018. Bruk av fjernmåling til overvåking av engareal i N-Norge – kan det komme bonden til nytte? (Foredrag). Hurtigruteseminaret, Harstad. Poster – Can we use UAVs and satellites to improve efficiency in forage production in northern Norway? Davids, C., Karlsen, S.R., Murguzur, F.J.A. & Jørgensen, M. 2018. Can we use UAVs and satellites to improve efficiency in forage production in northern Norway? (Poster). NIBIO konferanse, Hellerudsletta. Foredrag – Er artsblandinger mer robuste enn reinbestand og hvordan behandler vi ettervekst på høsten? Jørgensen, M. 2018. Er artsblandinger mer robuste enn reinbestand og hvordan behandler vi ettervekst på høsten? (Foredrag). Fagsamling for rådgivere og gårdbrukere, Tromsø. Foredrag – Fjernmåling av avling og kvalitet - akademisk leketøy eller til praktisk nytte for bonden? Jørgensen, M., Geipel, J., Davids, C. & Murguzur, F.J.A. 2018. Fjernmåling av avling og kvalitet - akademisk leketøy eller til praktisk nytte for bonden? (Foredrag). Grovfôrkonferansen 2018. NIBIO Rapport, 4(34) 2018. 27 s.
Jørgensen, M., Bakken, A.K., Lunnan, T. & Østrem, L. 2018. Forvaltning av ettervekst i eng i varmere og våtere høstmåneder. NIBIO Rapport 4(34). 27 s. NIBIO, Ås. Tilgjengelig fra: http://hdl.handle.net/11250/2490264. Lengre vekstsesong og høyere temperaturer om høsten gir spørsmål om de anbefalte høstetidspunktene for eng fortsatt er gyldige og om ettervekst etter hovedslåtter bør høstes eller kan få stå. Vi har undersøkt effekt av tidspunkt for høsting og antall slåtter på mengde og kvalitet av etterveksten, og konsekvenser for overvintring og avling neste år av å enten la etterveksten stå, eller høste den med jevne mellomrom utover høsten mot vekstavslutning. I forsøk i eng dominert av timotei (Phleum pratense L.) på Holt (Tromsø), Løken (Øystre Slidre), samt flere steder i Troms og Finnmark har vi undersøkt ettervekst etter tidlig og sein 2. slått. På Kvithamar (Stjørdal) og Fureneset (Fjaler) har vi målt gjenvekst etter to eller tre slåtter i timoteidominert eng, samt gjenvekst etter 3. slått i flerårig raigras (Lolium perenne L.). Etterveksten er generelt lav sjøl om høsttemperaturene er blitt høyere. Dette skyldes antakelig svært lav lysinnstråling i høstmånedene, noe som forsterkes dess lengre nord en kommer. Fôrkvaliteten er god. Det hadde ingen negative konsekvenser å la etterveksten stå. Høsting av ettervekst bidro til mindre timotei det påfølgende året, spesielt i nord. I raigras hadde høsting av ettervekst negativ effekt både på avling i 1. slått og total avling det påfølgende året. Vitenskapelig – How can forage production in Nordic and Mediterranean Europe adapt to the challenges and opportunities arising from climate change? Climate change and its effects on grassland productivity vary across Europe. The Mediterranean and Nordic regions represent the opposite ends of a gradient of changes in temperature and precipitation patterns, with increasingly warmer and wetter winters in the north and increasingly warmer and drier summers in the south. Warming and elevated concentration of atmospheric CO2 may boost forage production in the Nordic region. Production in many Mediterranean areas is likely to become even more challenged by drought in the future, but elevated CO2 can to some extent alleviate drought limitation on photosynthesis and growth. In both regions, climate change will affect forage quality and lead to modifications of the annual productivity cycles, with an extended growing season in the Nordic region and a shift towards winter in the Mediterranean region. This will require adaptations in defoliation and fertilization strategies. The identity of species and mixtures with optimal performance is likely to shift somewhat in response to altered climate and management systems. It is argued that breeding of grassland species should aim to (i) improve plant strategies to cope with relevant abiotic stresses and (ii) optimize growth and phenology to new seasonal variation, and that plant diversity at all levels is a good adaptation strategy. Sustainable meat and milk production from grasslands. Proceedings of the 27th General Meeting of the European Grassland Federation. Grassland Science in Europe 1(23) 2018. s. 586-588. Increasing species diversity often promotes ecosystem functions in grasslands, but sward diversity may be reduced over time through competitive interactions among species. We investigated the development of species’ relative abundances in intensively managed agricultural grassland mixtures over three years to identify the drivers of diversity change. A continental-scale field experiment was conducted at 31 sites using 11 different four-species mixtures each sown at two seed abundances. The four species consisted of two grasses and two legumes, of which one was fast establishing and the other temporally persistent. We modelled the dynamics of the four-species mixtures over the three-year period. The relative abundances shifted substantially over time; in particular, the relative abundance of legumes declined over time but stayed above 15% in year three at many sites. We found that species’ dynamics were primarily driven by differences in the relative growth rates of competing species and secondarily by density dependence and climate. Alongside this, positive diversity effects in yield were found in all years at many sites. Poster – Longer growing season with warmer autumn at northern latitudes - can farmers take an extra cut? Jørgensen, M., Bakken, A.K., Lunnan, T. & Østrem, L. 2018. Longer growing season with warmer autumn at northern latitudes - can farmers take an extra cut? (Poster). 27th General Meeting of the European Grassland Federation,, Cork, Ireland, 17-21 June 2018. Vitenskapelig – Longer growing season with warmer Autumn at Northern latitudes - can farmers take an extra cut? Sustainable meat and milk production from grasslands. Proceedings of the 27th General Meeting of the European Grassland Federation. Grassland Science in Europe 1(23) 2018. s. 255-257. Schärer, J. & Jørgensen, M. 2018. Ny teknologi for miljøvennlig produksjon - del av brosjyre "Grønn Kunnskap - 36 smakebiter fra NIBIO's virksomhet i 2017 (Brosjyre). Sustainable meat and milk production from grasslands. Proceedings of the 27th General Meeting of the European Grassland Federation. Grassland Science in Europe 1(23) 2018. s. 142-145. Weed suppression was investigated in a field experiment across 31 international sites. The study included 15 plant communities at each site, based on two grasses and two legumes, each sown in monoculture and 11 four-species mixtures varying in the relative proportions of the four species. At each site, one grass and one legume species was selected as fast establishing and the other two species were selected for persistence. Average weed biomass in mixtures over the whole experiment was 52% less (95% confidence interval, 30 to 75%) than in the most suppressive monoculture (transgressive suppression). Transgressive suppression of weed biomass persisted over each year for each mixture. Weed biomass was consistently low and relatively similar across all mixtures and years. Average sown species biomass was greater in all mixtures than in any monoculture. The suppressive effect of sown forage species on weeds in mixtures was achieved without any herbicide use. At each site, weed biomass for almost every mixture was lower than the average across the four monocultures. The average proportion of weed biomass in mixtures was less than in the most suppressive monoculture in two thirds of sites. Mixtures outyielded monocultures, and mixture yield comprised far lower weed biomass. We investigated climatic trends in two contrasting locations in Europe at a regional level and at two specific sites, and we analysed how these trends are associated with the dry matter yield (DMY) of agriculturally improved grasslands. Trends of different meteorological variables were evaluated for Wielkopolska province, central Poland (1985-2014) and Troms county, northern Norway (1989-2015), as well as for two research stations located in these regions. Significant trends of increased mean air temperatures annually, and in April, June, July, August and November were identified both at the regional and site levels in Wielkopolska. In addition, growing degree days were increasing in Wielkopolska. In Troms, the common trends for the region and site studied were increase in mean air temperature in May and decrease in January. Grassland DMY was subsequently regressed against those meteorological variables for which significant trends were detected. In the Wielkopolska region, yields were negatively associated with the increase in air temperature in June, August, and the annual air temperature. The last relationship was also detected at the site level. We did not find any significant effects of climate trends on grassland DMY in the Norwegian study site or region. Davids, C., Karlsen, S.R., Murguzur, F.J.A. & Jørgensen, M. 2018. UAV based mapping of grassland yields for forage production in northern Europe (Poster). EGF 2018: Sustainable meat and milk production from grasslands. Sustainable meat and milk production from grasslands. Proceedings of the 27th General Meeting of the European Grassland Federation. Grassland Science in Europe 1(23) 2018. s. 845-847. In order to establish the relationship between spectral reflectance and grass yield, we used a UAV-based hyperspectral camera and ground-based spectroradiometry to image a number of cultivated grasslands of different age and productivity in northern Norway. In addition, samples were taken to determine biomass and grass species composition. We investigated a number of vegetation indices as well as regression analysis to identify which spectral reflectance features can be used to map crop yield. We found poor relationships between NDVI and yield, but were able to obtain an acceptable relationship using all 15 available bands in the visible-near infrared range. Bands in the near infrared appear to contain most of the information related to yield. Foredrag – Utfordringer med grovfôrdyrking i klima med mer vann og mildere vintre. Jørgensen, M. 2018. Utfordringer med grovfôrdyrking i klima med mer vann og mildere vintre. (Foredrag). Utviklingsverksted, NIBIO Tjøtta. The effect of variable autumn temperatures in combination with decreasing irradiance and daylength on photosynthesis, growth cessation and freezing tolerance was investigated in northern- and southern-adapted populations of perennial ryegrass (Lolium perenne) and timothy (Phleum pratense) intended for use in regions at northern high latitudes. Plants were subjected to three different acclimation temperatures; 12, 6 and 9/3°C (day/night) for 4 weeks, followed by 1 week of cold acclimation at 2°C under natural light conditions. This experimental setup was repeated at three different periods during autumn with decreasing sums of irradiance and daylengths. Photoacclimation, leaf elongation and freezing tolerance were studied. The results showed that plants cold acclimated during the period with lowest irradiance and shortest day had lowest freezing tolerance, lowest photosynthetic activity, longest leaves and least biomass production. Higher acclimation temperature (12°C) resulted in lower freezing tolerance, lower photosynthetic activity, faster leaf elongation rate and higher biomass compared with the other temperatures. Photochemical mechanisms were predominant in photoacclimation. The northern-adapted populations had a better freezing tolerance than the southern-adapted except when grown during the late autumn period and at the highest temperature; then there were no differences between the populations. Our results indicate that the projected climate change in the north may reduce freezing tolerance in grasses as acclimation will take place at higher temperatures and shorter daylengths with lower irradiance. Foredrag – Detection of winterkill in grasslands in Norway using spatial-temporal satellite data mining. Shao, Y., Taff, G. & Jørgensen, M. 2017. Detection of winterkill in grasslands in Norway using spatial-temporal satellite data mining. (Foredrag). Annual meeting of the American Association of Geographers, Boston. Persson, T., Höglind, M., Dalmannsdottir, S., Jørgensen, M., Rognli, O.A. & Østrem, L. 2017. Dyrking av grovfor i et endret klima. NIBIO POP, 3(24) Tilgjengelig fra: http://hdl.handle.net/11250/2478013. Vallkonferens 2017. Report from the Department of Crop Production Ecology (VPE) 22 2017. s. 179. Steinshamn, H., Höglind, M., Jørgensen, M., Randby, Å.T., Nesheim, L. & Bakken, A.K. 2017. Kostnadseffektiv grovfôrproduksjon (Poster). Vallkonferens 2017, Uppsala. 1. Increased species diversity promotes ecosystem function; however, the dynamics of multi-speciesgrassland systems over time and their role in sustaining higher yields generated by increased diver-sity are still poorly understood. We investigated the development of species’ relative abundances ingrassland mixtures over 3 years to identify drivers of diversity change and their links to yield diver-sity effects.2. A continental-scale ﬁeld experiment was conducted at 31 sites using 11 different four-speci esmixtures each sown at two seed abundances. The four species consisted of two grasses and two legumes, of which one was fast establishing and the other temporally persistent. We modelledthe dynamics of the four-species mixtures, and tested associations with diversity effects on yield.3. We found that species’ dynamics were primarily driven by differences in the relative growth rates(RGRs) of competing species, and secondarily by density dependence and climate. The temporallypersistent grass species typically had the highest RGRs and hence became dominant over time. Den-sity dependence sometimes induced stabilising processes on the dominant species and inhibitedshifts to monoculture. Legumes persisted at most sites at low or medium abundances and persistencewas improved at sites with higher annual minimum temperature.4. Signiﬁcant diver sity effects were present at the majority of sites in all years and the strength ofdiversity effects was improved with higher legume abundance in the previous year. Observed diver-sity effects, when legumes had declined, may be due to (i) important effects of legumes even at lowabundance, (ii) interaction between the two grass species or (iii) a store of N because of previouspresence of legumes.5. Synthesis. Alongside major compositional changes driven by RGR differences , diversity effectswere observed at most sites, albeit at reduced strength as legumes declined. This evidence stronglysupports the sowing of multi-species mixtures that include legumes over the long-standing practiceof sowing grass monocultures. Careful and strategic selection of the identity of the species used inmixtures is suggested to facilitate the maintenance of species diversity and especially persistence oflegumes over tim e, and to preser ve the strength of yield increases associated with diversity. Jørgensen, M. 2017. Overvintring og vinterskader i eng. NIBIO POP, 3(45) Tilgjengelig fra: http://hdl.handle.net/11250/2478939. En variabel vinter i 2017 har igjen ført til betydelige vinterskader på eng flere steder i landet. År med betydelige vinterskader ser ut til å komme med jevne mellomrom, og fører både til store avlingstap og til kostnader med reparasjon av eng med vinterskade. Hva er overvintringsskader og er det noe vi kan gjøre for å unngå dem? Davids, C., Karlsen, S.R., Jørgensen, M. & Murguzur, F.J.A. 2017. UAV based mapping of variation in grassland yield for forage production in Arctic environments (Poster). AGU Fall Meeting, New Orleans. Tørresen, K., Jørgensen, M., Bakken, A.K. & Höglind, M. 2017. Ulike fornyingsstrategier i eng - resultater fra GrateGrass-prosjektet (Foredrag). Fagseminar "Langvarig eng - muligheter og begrensninger", Bryne. 1. Grassland diversity can support sustainable intensification of grassland production through increased yields, reduced inputs and limited weed invasion. We report the effects of diversity on weed suppression from 3 years of a 31-site continental-scale field experiment. 2. At each site, 15 grassland communities comprising four monocultures and 11 four-species mixtures based on a wide range of species' proportions were sown at two densities and managed by cutting. Forage species were selected according to two crossed functional traits, “method of nitrogen acquisition” and “pattern of temporal development”. 3. Across sites, years and sown densities, annual weed biomass in mixtures and monocultures was 0.5 and 2.0 t DM ha−1 (7% and 33% of total biomass respectively). Over 95% of mixtures had weed biomass lower than the average of monocultures, and in two-thirds of cases, lower than in the most suppressive monoculture (transgressive suppression). Suppression was significantly transgressive for 58% of site-years. Transgressive suppression by mixtures was maintained across years, independent of site productivity. 4. Based on models, average weed biomass in mixture over the whole experiment was 52% less (95% confidence interval: 30%–75%) than in the most suppressive monoculture. Transgressive suppression of weed biomass was significant at each year across all mixtures and for each mixture. 5. Weed biomass was consistently low across all mixtures and years and was in some cases significantly but not largely different from that in the equiproportional mixture. The average variability (standard deviation) of annual weed biomass within a site was much lower for mixtures (0.42) than for monocultures (1.77). 6. Synthesis and applications. Weed invasion can be diminished through a combination of forage species selected for complementarity and persistence traits in systems designed to reduce reliance on fertiliser nitrogen. In this study, effects of diversity on weed suppression were consistently strong across mixtures varying widely in species' proportions and over time. The level of weed biomass did not vary greatly across mixtures varying widely in proportions of sown species. These diversity benefits in intensively managed grasslands are relevant for the sustainable intensification of agriculture and, importantly, are achievable through practical farm-scale actions. Golinski, P., Jørgensen, M., Czerwiński, M., Golińska, B., Mølmann, J.A. & Taff, G. 2016. Analysis of changing climate impact on timothy productivity in two contrasting geographical locations (Foredrag). 25th General Meeting of the European Grassland Federation, Trondheim. The multiple roles of grassland in the European bioeconomy. Grassland Science in Europe 21 2016. s. 780-782. The aims of this study were: (1) to assess the trends of climatic variables in two contrasting geographical locations: central Poland and northern Norway; and (2) to evaluate the influence of the detected trends on timothy yields. This grass species was selected for its high importance for forage production in Norway as well as in Poland. For the assessment of climate trends, historical meteorological data, which cover time series from 1985 onwards, were used. Trends of various climate condition indicators were investigated. Data on timothy yields were collected beginning in the 1990s for Brody in Poland from cultivar testing experiments and Holt in Norway by the national cultivar-testing program. The results indicated that in central Poland air temperature in specific months significantly decrease the annual yield of timothy while in northern Norway many climatic variables, such as earlier start and prolonged length of growing season, may have a slightly positive impact on timothy productivity. Ergon, Å., Volaire, F., Korhonen, P., Virkajärvi, P., Seddaiu, G., Jørgensen, M., Bellocchi, G., Østrem, L., Reheul, D. & Baert, J. 2016. Climate challenges and opportunities in northern and southern Europe - role of management and exploitation of plant traits in the adaptation of grasslands (Foredrag). 26th General Meeting of the European Grassland Federation. The multiple roles of grassland in the European bioeconomy. Grassland Science in Europe 21 2016. s. 746-758. Tørresen, K., Bakken, A.K., Jørgensen, M. & Höglind, M. 2016. Effect of different renovation and weed management strategies on botanical composition and forage yield in perennial leys (Poster). 26th General Meeting of the European Grassland Federation (EGF), Trondheim. The multiple roles of grassland in the European bioeconomy. Grassland Science in Europe 21 2016. s. 844-846. Mølmann, J.A., Jørgensen, M., Murguzur, F.J.A. & Taff, G. 2016. Ground truthing – Evaluation of different methods for estimating yields of grass fields in Norway (Poster). 25th General Meeting of the European Grassland Federation, Trondheim. The multiple roles of grassland in the European bioeconomy. Grassland Science in Europe 21 2016. s. 335-337. Poster – Impact of waterlogging under different temperatures on hardening and freezing tolerance of timothy (Phleum pratense). Jørgensen, M., Mølmann, J.A. & Taff, G. 2016. Impact of waterlogging under different temperatures on hardening and freezing tolerance of timothy (Phleum pratense). (Poster). the 25th General Meeting of the European Grassland Federation, Trondheim. Jørgensen, M., Mølmann, J.A. & Taff, G. 2016. Impact of waterlogging under different temperatures on hardening and freezing tolerance of timothy (Phleum pratense) (Foredrag). Impact of climate change and pollution on vegetation distribution and condition in the temperate, boreal, alpine and polar zones, Warszawa. The multiple roles of grassland in the European bioeconomy. Grassland Science in Europe 21 2016. s. 814-817. Jørgensen, M. 2016. Integrert ugrasbekjemping for økt avling og lønnsomhet i grovfôrproduksjonen «Grategrass» (Foredrag). Rådgiversamling og markvandring, Holt. Foredrag – Kan vi bruke Fjernmåling til å få oversikt over avlinger i engdyrkinga? Jørgensen, M. 2016. Kan vi bruke Fjernmåling til å få oversikt over avlinger i engdyrkinga? (Foredrag). Foredrag ved Hurtigruteseminar 24. Nov 2016. (Finegrass, Remote sensing)., Hurtigrute. Jørgensen, M. & Bakken, A.K. 2016. Management of regrowth in timothy leys during warmer and wetter autumn months (Poster). Circumpolar Agricultural Conference 2016, Reykjavik. The growing season is longer than earlier and especially autumn temperatures have increased during the last 30 years (Hanssen‐Bauer et al 2015). A longer growing season increases the potential for forage production as an earlier spring, and warmer autumn implies that farmers can take more cuts with larger yields than earlier. Nevertheless, a warmer autumn can promote considerable regrowth after the last cut, and farmers report that they are uncertain if this regrowth should be harvested. The cost of harvesting forage is high, and feed quality of late harvested forage may be sub‐optimal. Changing precipitation patterns where there may be more episodes of heavy rains during autumn, late harvesting of grass swards can increase the risk of soil compaction and damage plant cover. This was the background to a study where we examine how different harvest time in autumn affects overwintering and yields the following year. We have established randomized block field experiments with 3 replicates in established leys dominated by timothy (Phleum pratense L.) at two sites in Norway in 2015; Kvithamar 63o29’N, 10o53’E, and Holt 69o38’N, 18o57’E. In the Kvithamar field, the main harvests were made June 30 and August 10. Thereafter, in one treatment, plots were left unharvested till next spring, while in other treatments plots were cut 4, 6, 8 or 10 weeks after the second main harvest. At Holt, the first harvest was made July 7, and the second harvest either August 11 or August 27. The regrowth after these treatments were either left uncut or harvested 4, 6 or 8 weeks after the last main cut in August 10, or 6 weeks after the cut in August 28. Dry matter yields were measured from all cuts. The results were analysed using ANOVA with MiniTab. No significant differences in yields were found between the different cutting treatments at either site, even though temperatures were between 2.2‐ 2.5oC higher than normal (1961‐1990) in September and between 1.1‐1.6 warmer than normal in October. Global radiation decreases rapidly from September onwards, and is a limiting factor for the growth potential of timothy‐dominated leys. In spring, we will measure winter survival and growth rate and yields in all treatments. The results from these measurements will be presented at the conference. Hind, L.J. & Jørgensen, M. (Intervju). 2016. Ny fjernmålingsteknologi kan gi bedre fôrproduksjon. Landbrukstidende Nr. 9, 15.12.2016. Hind, L.J. & Jørgensen, M. (Intervju). 2016. Ny fjernmålingsteknologi kan gi bedre fôrproduksjon. Bonde og Småbruker nr. 10, 16.12.2016. Jørgensen, M. 2016. Remote sensing (Foredrag). Årsmøte i det terrestre flaggskipet, Naturfagsbygget UiT, Tromsø. The multiple roles of grassland in the European bioeconomy. Grassland Science in Europe 21 2016. s. 817-819. Grasslands are significant as a source of forage for animal production, but are also important in many ecological functions. To be able to analyse changes in environmental conditions of grasslands, monitoring of grassland areas using remote sensing is an important task. Studying changes in environmental condition over time and space in grasslands has been the subject of research at different scales. Such an example is the Polish-Norwegian Research Project FINEGRASS „Effect of climatic changes on grassland growth, its water conditions and biomass’. In situ measured soil-vegetation parameters and satellite observations have been combined and analysed to quantify the spatial and temporal variability of grassland conditions, as reflected in variations of vegetation surface temperature, soil moisture, and biomass. Results show a significant trend of increasing grassland surface temperature in Poland, based on AVHRR satellite data; a positive significant relationship between the (April-September) standardized precipitation evapotranspiration index (SPEI) and grass yields in Poland; northern Norway has shown trends towards warmer springs and autumns since 1991, and significant trends towards earlier snowmelt and green-up on test fields in northern Norway. Foredrag – Timotei –egenskaper til ‘gamle’ og ‘nye’ sorter i et klima i endring. Jørgensen, M. 2016. Timotei –egenskaper til ‘gamle’ og ‘nye’ sorter i et klima i endring. (Foredrag). Foredrag for Felleskjøpets distriktsrådsmøte for region 8, Tromsø. Dalmannsdottir, S., Jørgensen, M., Rapacz, M., Østrem, L., Larsen, A. & Rognli, O.A. 2015. Effect of temperature and decreasing photoperiod on cold tolerance of timothy and perennial ryegrass in Northern Norway (Poster). Agriculture and Climate Change Conference 2015, Amsterdam. Rapport – Effekt av vinterskade på tilstand og avling på grovfôrarealer. Konsekvenser for agronomiske tiltak. Bioforsk Rapport, 10(16) 2015. 9 s.
Jørgensen, M. 2015. Effekt av vinterskade på tilstand og avling på grovfôrarealer. Konsekvenser for agronomiske tiltak.. Bioforsk Rapport 10(16). 9 s. Bioforsk, Ås. Sickel, H., Bele, B., Eltun, R., Finnes, O., Fystro, G., Hovstad, K.A., Jørgensen, M., Lind, V., Todnem, J. & Steinshamn, H. 2015. Local food identity and quality – landscape and ecosystem services from Norwegian semi-natural grassland and rangelands. Book of Abstracts Cheriscape Conference III, 18-20 May 2015, Oslo, Norway, Landscape Community, 29. Zielinska, K.D.–., Goliński, P., Jørgensen, M., Mølmann, J.A., Taff, G., Tomaszewska, M., Golińska, B., Budzynska, M. & Gatkowska, M. 2015. New methodologies for grasslands monitoring. Keynote Lecture (Foredrag). 23rd International Grassland Congress 2015 - Keynote Lecture (XXIII IGC 2015), New Dehli. The expected temperature rise in late summer/early autumn can change the conditions for acclimation and affect the winter survival of perennial crops. This study examined the effect of the temperature just before the onset of cold acclimation (pre-acclimation) on freezing tolerance of timothy (Phleum pratense L.), perennial ryegrass (Lolium perenne L.) and red clover (Trifolium pratense L.) populations (both cultivars and breeding populations) adapted to either northern or southern parts of Norway. Using phytotron experiments, we studied whether increasing pre-acclimation temperature delays growth cessation, affects photoacclimation and reduces freezing tolerance. Furthermore, we assessed whether these effects were related to the latitudinal adaptation of the plant material. The results showed that a rise in pre-acclimation temperature decreased both cold acclimation capacity and photoacclimation in these species. This affected the freezing tolerance, which was reduced significantly more in northern-adapted population of timothy and perennial ryegrass compared with southern-adapted populations. Red clover was less affected by temperature changes than the grasses. Haug, L., Elverland, E., Bjerke, J.W., Jørgensen, M., Hykkerud, A.L. & Halland, H. 2015. Viktige kilder til mat i nordnorsk landbruk og natur: potet, bær og bygg (Foredrag). Forskningstorget, Forskningsdagene, Tromsø. Nettsider – WINNIT - Northern nature under stress. A video project information. Schärer, J., Bokhorst, S., Bjerke, J.W., Jaakola, L. & Jørgensen, M. 2015. WINNIT - Northern nature under stress. A video project information. (Nettsider). Tilgjengelig fra: http://www.framshorts.com/video/winnit-northern-nature-under-stress/?fancy=true. High northern latitudes are increasingly exposed to the combination of extreme winter climate and deposition of long-distance dispersed nitrogen pollution. The nature in the north is vulnerable, and these combined stresses may over time affect the composition of plant species and carbon uptake. How will North-Norwegian ecosystems tolerate unstable winters and nitrogen pollution? Jørgensen, M. 2014. Arktisk lam og beiteplanter (Foredrag). Arktisk lammekongress, Tromsø. Dąbrowska-Zielińska, K., Goliński, P., Jørgensen, M., Mølmann, J.A. & Taff, G. 2014. Effect of climatic changes on grassland growth, water condition and biomass – the FINEGRASS project (Foredrag). 25th General Meeting of the European Grassland Federation, Aberystwyth, Wales. Dalmannsdottir, S., Jørgensen, M., Rapacz, M., Østrem, L., Larsen, A. & Rognli, O.A. 2014. Effect of temperature and decreasing photoperiod on cold tolerance of timothy and perennial ryegrass in N-Norway (Foredrag). Genetic Resources for Food and Agriculture in a Changing Climate, Lillehammer, Norway. Schärer, J., Tømmervik, H., Bjerke, J.W. & Jørgensen, M. (Programdeltakelse). 2014. Forurensing gir mindre lyng. Videoreportasje. forskning.no, 07.04.2014. Tilgjengelig fra: http://www.forskning.no/artikler/2014/april/386941. Schärer, J., Tømmervik, H., Bjerke, J.W. & Jørgensen, M. (Intervju). 2014. Forurensning gir mindre lyng. Nationen, 07.04.2014. Jørgensen, M. 2014. Grovfôrproduksjon i et klima i endring (Foredrag). Tine-møte, Tromsø. Nettsider – Tester varm vinter på planteflekker i Troms. Video på YouTube. Bjerke, J.W., Schärer, J. & Jørgensen, M. 2014. Tester varm vinter på planteflekker i Troms. Video på YouTube. (Nettsider). Tilgjengelig fra: https://www.youtube.com/watch?v=wCIDgnukC1U. Schärer, J., Bjerke, J.W., Tømmervik, H. & Jørgensen, M. (Programdeltakelse). 2014. Trues av klimaendringer og forurensning. Videoreportasje. bioforsk.no, 07.04.2014. Tilgjengelig fra: http://www.bioforsk.no/ikbViewer/page/forside/nyhet?p_document_id=109283. Bjerke, J.W., Jørgensen, M., Schärer, J. & Tømmervik, H. (Intervju). 2014. Vegetasjon i utmark endres. Bonde og Småbruker, 02.05.2014. Vitenskapelig – Vil varmere høster gi dårligere overvintring? Bioforsk-konferansen 2014. Sammendrag og presentasjoner. Bioforsk FOKUS 2(9) 2014. s. 68. Jørgensen, M., Tørresen, K., Dyrhaug, M., Myrstad, I., Magnussen, T., Førde, A. & DiTommaso, A. 2013. Anthriscus sylvestris – biology, control and people’s perception of cultural landscapes. Proceedings 16th EWRS Symposium, 109. Jørgensen, M., Tørresen, K., Dyrhaug, M., Myrstad, I., Svendsen, J., Magnussen, T., Førde, A. & DiTommaso, A. 2013. Anthriscus sylvestris – biology, control and people’s perception of cultural landscapes (Foredrag). 17th European Grassland Federation Symposium, Akureyri. Jørgensen, M., Tørresen, K., Dyrhaug, M., Myrstad, I., Svendsen, J., Magnussen, T., Førde, A. & DiTommaso, A. 2013. Anthriscus sylvestris – biology, control and people’s perception of cultural landscapes (Poster). 16th EWRS Symposium, Samsun. The role of grasslands in a green future. Threats and Perspectives in less favoured areas. Grassland Science in Europe ? (18) 2013. s. 338-340. Steinshamn, H. & Jørgensen, M. 2013. Beiteforsøk Gibostad, bakgrunn, formål og resultat (Foredrag). Kvalitetsmelk for kvit geitost: frå forskning til praksis, Tromsø. Jørgensen, M. 2013. Dugnad hundekjeks (Foredrag). Åpent møte. Steinshamn, H., Inglingstad, R.A., Criscione, A., Valenti, B. & Jørgensen, M. 2013. Effect of pasture type compared with hay diet on dairy goat milk casein composition (Foredrag). Goat Milk Quality, Regional IGA Conference, Tromsø. The objective of the present study was to examine the effect of grazing on different pasture types and hay feeding on dairy goat’s milk casein composition in early and late grazing season. Eighty goats were grouped according to genotype at the αS1-casein locus and number of lactations and randomly divided into two groups (Early and Late) with approximately 8 weeks difference in kidding dates. Goats within each of the two groups were further allocated to four forage treatment groups accounting for genotype and lactation number: R, forest rangeland pasture; C, cultivated pasture; HH, high quality hay; HL, low quality hay. The goats in Early were subjected to forage treatments in early grazing season, while the goats in Late received the forage treatments 8 weeks later. There was a strong effect of genotype but no genotype by diet interaction on casein content and composition. Goats grazing R yielded less milk (1.6 vs. 2.2 kg/d, P<0.001) with higher milk fat content (48 vs. 38 g/kg, P<0.001) than goats on C. Pasture type had no effect on total protein or casein content. However, milk from goats on R compared to C had lower content of αs1-casein (2.57 vs. 3.82 g/L, P<0.01) and κ-casein (4.51 vs. 5.22 g/L, P<0.05) but higher content of β-casein (13.1 vs. 11.7 g/L, P<0.001). Grazing compared to hay gave similar milk yield with higher content of total casein (24.2 vs. 21.0 g/kg, P<0.001), αs2-casein (3.48 vs. 3.04 g/L, P<0.001) and β-casein (12.4 vs. 11.7 g/L, P<0.01). Grazing compared to hay feeding improved the milk casein composition important for cheese making, while cultivated pasture were superior to rangeland. Dalmannsdottir, S., Rapacz, M., Jørgensen, M., Østrem, L., Larsen, A. & Rognli, O.A. 2013. Effects of pre-acclimation temperature on cold tolerance and photoinhibition in forage species (Poster). Grassland Science in Europe, Akureyri. Jørgensen, M. 2013. Grovfôrforskning under klima i endring (Foredrag). Fagdag i anledning Holts 90 års jubileum, Tromsø. Vitenskapelig – How do non-adaptive grasses control growth cessation during autumn in high-latitude regions? Poster – How does grazing species-rich rangeland or cultivated species-poor pasture affect goat milk quality and milk quantity compared to hay? Steinshamn, H. & Jørgensen, M. 2013. How does grazing species-rich rangeland or cultivated species-poor pasture affect goat milk quality and milk quantity compared to hay? (Poster). Goat Milk Quality, Regional IGA Conference, Tromsø. Traditionally, Norwegian dairy goats graze on diverse forest or alpine rangeland during summer, and these pastures are important both as a feed source, and for keeping the traditional image of goat milk being produced on local “natural” resources. Simultaneously, the grazing goats keep the landscape open. The quality of goat milk often declines during summer, with increased problems with free fatty acids (FFA) in the milk. This seems to coincide with the latter part of the grazing season, when goats generally also are in a later lactation stage, which also can cause problems with FFA. To elucidate the effects of pasture quality on milk production and quality we conducted an experiment where we grouped eighty goats according to genotype and lactation. They were randomly divided into two groups with approximately 8 weeks difference in kidding date and start of feeding experiment in Early (beginning of July) and Late (end of August) grazing season on improved cultivated pasture (PC) or rangeland (PR). Grazing was compared with hay of high (HH) or low (HL) quality. We used n-alkanes and long chained alcohols found in plant waxes as markers to estimate diet composition, and dosed the animals with the even-chained alkane C32 to estimate intake. Grazed plants were analysed also for feed quality. The forage intake was generally high, on average 1.2, 1.9, 2.1 and 1.6 kg DM day-1 per goat for PC, PR, HH and HL, respectively. The intake in the cultivated pasture the diet was predominantly timothy (Phleum pratense) in early season, while meadow fescue (Festuca pratensis) and couch grass (Elytrigia repens) dominated in 2nd period. In the rangeland, the diet was diverse and consisted of ferns, sedges, blueberry (Vaccinium myrtillis) and birch (Betula pubescens) in early summer. In late summer the diet was particularly diverse, coinciding with a general decline in plant quality. R yielded less milk (1.6 vs. 2.2 kg d-1) and lower milk protein content (32 vs. 33 g kg-1), but higher milk fat (48 vs. 38 g kg-1) and DM content (122 vs. 114 g kg-1) than C. Milk content of free fatty acids (FFA) was not affected by pasture type. The effect of pasture type on milk yield and milk constituents were similar in early and late grazing season. Grazing resulted in similar milk yield but higher milk fat (43 vs. 35 g kg-1), protein (32 vs. 30 g kg-1) and DM (118 vs. 107 g kg-1) content and lower content of FFA (0.25 vs. 0.31 mEq L-1) than hay feeding. Jørgensen, M. 2013. Klimaendringene - konsekvenser for landbruk i nord (Foredrag). Klimaseminar ved Framsenter. Jørgensen, M. & Dalmannsdottir, S. 2013. Klimatilpassing av grovfôrvekster i nord (Foredrag). Fagmøte grovfôr, Tromsø. Jørgensen, M. & Tørresen, K. 2013. Kontroll av hundekjeks. Jørgensen, M. 2013. Kontroll av hundekjeks 2010-2013 (Foredrag). Foredrag hos fylkesmannen, Vadsø. Jørgensen, M. 2013. Kontroll av hundekjeks 2010-2013 (Foredrag). Fagmøte grovfôr, Tromsø. Jørgensen, M. & Tørresen, K. 2013. Kontroll av hundekjeks 2012-2013 (Foredrag). Åpent folkemøte, Vadsø. Jørgensen, M. & Tørresen, K. 2013. Kontroll av hundekjeks (Foredrag). Åpent folkemøte, Vadsø. Foredrag – Sorter og arter i grovfôrdyrkinga - egna sortsmateriale? Jørgensen, M. 2013. Sorter og arter i grovfôrdyrkinga - egna sortsmateriale? (Foredrag). Foredrag for årsmøtet i Tromsøysund Bondelag, Tromsæ. Tørresen, K., Haugland, E., DiTommaso, A., Mohler, C. & Jørgensen, M. 2013. Sprouting ability of different parts of the taproot of Anthriscus sylvestris. Proceedings 16th EWRS Symposium, 54. Tørresen, K., Haugland, E., DiTommaso, A., Mohler, C. & Jørgensen, M. 2013. Sprouting ability of different parts of the taproot of Anthriscus sylvestris (Poster). 16th EWRS Symposium, Samsun. Jørgensen, M. & Tørresen, K. 2013. Ugras når agronomien svikter (Foredrag). Hurtigruteseminaret "Økt matproduksjon - muligheter og flaskehalser i Arktisk Landbruk", Hurtigruten. Schärer, J. & Jørgensen, M. 2013. Under isen venter våren (Nettsider). Tilgjengelig fra: http://www.forskning.no/artikler/2013/mars/350746. Videoreportasje med informasjon om isskader på vegetasjon. Bioforsk-konferansen 2012. Sammendrag og presentasjoner. Bioforsk FOKUS 2(7) 2012. s. 263-265. Geitene på utmark på Gibostad i Troms spiste en variert diett med mye halvgras, gras, busker og trær, både tidlig og seint i beiteperioden. På innmarksbeite tok geitene opp mest timotei tidlig i beitesesongen, mens engsvingel og kveke var hoveddiett seint i august. Valget av beiteplanter reflekterte både det som til enhver tid var tilgjengelig, men også næringsverdien til beiteplantene. Bioforsk-konferansen 2012. Sammendrag og presentasjoner. Bioforsk FOKUS 2(7) 2012. s. 133-134. Beiting av planter i vekst er hovedkilde til flerumetta fettsyrer i kjøtt og melk hos drøvtyggere. Lammekjøtt produsert på beiter har et signifikant høyere innhold av omega-3 fettsyren alfa-linolen (ALA), enn lammekjøtt produsert på surfôr/kraftfôr. Steinshamn, H., Inglingstad, R.A., Nymo, M. & Jørgensen, M. 2012. Effect of pasture type compared with hay diet on dairy goat milk fatty acid composition (Foredrag). XI International conference on goats, Las Palmas, Gran Canaria. The objective of the present study was to examine the effect of grazing on different pasture types and hay feeding on dairy goat milk fatty acid (FA) composition in early and late grazing season. Eighty goats were grouped according to genotype and lactation, and randomly divided into two groups (Early and Late) with approximately 8 weeks difference in mating and kidding dates. Goats within each of the two groups were further allocated to four forage treatment groups: R, forest rangeland pasture; C, cultivated pasture; HH, high quality hay; HL, low quality hay. The goats in Early were subjected to forage treatments in early grazing season, while the goats in Late received the forage treatments 8 weeks later. The most abundant FAs were C16:0 and C18:1c9 followed by C14:0 and C18:0. The milk proportion of the short and medium chained fatty acids (C6:0-C14:0) and C16:0 was higher (P < 0.0001) in Late than in Early grazing season, whilst the proportion of long chained FAs (C18:0, C18:1c9, C18:1t11, C18:2c9, 12, C18:2c9t11 and C18:3c9, 12, 15) were lower (P < 0.001). Goats grazing R yielded less milk (1.5 vs. 2.0 kg/d, P < 0.001) but with higher milk fat content (46 vs. 37 g/kg, P < 0.001) than C. The milk from goats on R had lower (P < 0.01) proportion of medium chained FAs (C10:0-C14:0) and C18:2c9, t11 but higher (P < 0.05) proportion of C18:0, C18:2c9,12 and C20:0 than C. Grazing compared to hay gave milk with lower proportion of medium chained FAs (C12:0-C14:0) and C16:0 but higher proportion of the long chained FAs C18:0, C18:1t11, C18:3c9, 12, C18:2c9, t11, C18:3c9, 12, 15, C20:0 than hay feeding. Higher supply of energy may explain higher proportion of de novo synthesised low and medium chained FA and lower proportion of long chained FA on C than on R, whilst higher supply of FA from mobilized fat may explain higher milk proportion of long chain FA in Early than in late season. Moreover, goats on pasture had likely higher supply of FA from dietary fat, which explain higher milk proportion of the long chained FA than on hay. Jørgensen, M., Helgesen, R.M., Eknæs, M., Mølmann, J.A. & Steinshamn, H. 2012. Effect of pasture type compared with hay diet on dairy goat milk production and quality (Foredrag). 24th General Meeting of the European Grassland Federation, Lublin. Norwegian goat milk production is based on summer grazing on diverse forest or alpine rangeland, and the quality of these pastures is important for milk quantity and quality. We used n-alkanes and long chained alcohols found in plant wax as markers to estimate diet composition in goats grazing on a heterogeneous rangeland during two periods in summer; early (beginning of July) and late (end of August). The goats were fitted with GPS collars that recorded their position. Preliminary results show a diverse diet, where ferns, sedges, blueberry (Vaccinium myrtillis) and birch were preferred in early summer. In late summer the diet was particularly diverse, coinciding with a general decline in plant quality. Grassland – a European Resource?Proceedings of the 24th General Meeting of the European Grassland Federation Lublin, Poland 3–7 June 2012. 2012. s. 408-410. Steinshamn, H., Inglingstad, R.A., Nymo, M. & Jørgensen, M. 2012. Effect of pasture type compared with hay diet on dairy goat milk production and quality. I: Golinski, P., Warda, M. & Stypinski, P. (red.) Grassland – a European Resource?Proceedings of the 24th General Meeting of the European Grassland Federation Lublin, Poland 3–7 June 2012, s. 408-410. Organizing Committee of the 24th General Meeting of the European Grassland Federation and Polish Grassland Society. Bioforsk-konferansen 2012. Sammendrag og presentasjoner. Bioforsk FOKUS 2(7) 2012. s. 270-272. Geiter på utmark produserte mindre mjølk med lavere innhold av protein enn geit på innmarksbeite, men utmarksbeite gav ellers ikke redusert mjølkekvalitet. Beite gav mjølk med høyere innhold av fett, protein og tørrstoff, og lavere innhold av urea og frie fettsyrer sammenligna med høyfôring. Utmarksbeite fører ikke nødvendigvis til mjølk med høyt innhold av frie fettsyrer eller til økt innhold av frie fettsyrer utover i beitesesongen. Jørgensen, M., Helgesen, R.M.L., Eknæs, M., Mølmann, J.A. & Steinshamn, H. 2012. Grazing preferences of goats in diverse rangeland (Foredrag). Grassland –a European Resource? 24th General Meeting of the European Grassland Federation, Lublin. Grassland – a European Resource?Proceedings of the 24th General Meeting of the European Grassland Federation Lublin, Poland 3–7 June 2012. 2012. s. 219-221. Jørgensen, M., Helgesen, R.M.L., Eknæs, M., Mølmann, J.A. & Steinshamn, H. 2012. Grazing preferences of goats in diverse rangeland. I: Golinski, P., Warda, M. & Stypinski, P. (red.) Grassland – a European Resource?Proceedings of the 24th General Meeting of the European Grassland Federation Lublin, Poland 3–7 June 2012, s. 219-221. Organizing Committee of the 24th General Meeting of the European Grassland Federation and Polish Grassland Society. Norwegian goat milk production is based on summer grazing on diverse forest or alpine rangeland, and the quality of these pastures is important for milk quantity and quality. We used n-alkanes and long chained alcohols found in plant waxes as markers to estimate diet composition in goats grazing on a heterogeneous rangeland during two periods in summer; early (beginning of July) and late (end of August). Some of the goats were fitted with GPS collars that recorded their position. Preliminary results show a diverse diet, where ferns, sedges, blueberry (Vaccinium myrtillis) and birch (Betula pubescens) were preferred in early summer. In late summer the diet was particularly diverse, coinciding with a general decline in plant quality. Poster – Hundekjeks – et symbol på kulturlandskap i forfall? Jørgensen, M., Dyrhaug, M., Førde, A., Magnussen, T., Myrstad, I. & Tørresen, K. 2012. Hundekjeks – et symbol på kulturlandskap i forfall? (Poster). Forskningsdagene - utstilling, Tromsø. Jørgensen, M. (Intervju). 2012. Plantesamfunnets sorte får. Magasinet til Forskningsdagene, 19.09.2012. Muladal, R. & Jørgensen, M. (Intervju). 2012. Slår et slag for kulturlandskapet. Bioforsk Web, 30.07.2012. Jørgensen, M. 2011. Beitekunnskap viktig for kvaliteten på geitmelka (Foredrag). Hurtigruteseminar 2011 ”Verdsetting av naturnæringene”., Tromsø. Jørgensen, M., Helgesen, R., Eknæs, M., Mølmann, J.A. & Steinshamn, H. 2011. Beitepreferanser geit på utmark og innmark (Poster). Geitdagene 2011, Tromsø. Jørgensen, M., Helgesen, R., Mølmann, J.A., Nymo, M. & Steinshamn, H. 2011. Effekt av ulikt beite og høyfôring på ytelse og kvalitet i geitmelk (Poster). Geitdagene 2011, Tromsø. Scenarios of climate changes indicate longer and more frequent spells of mild weather during winter in northern latitudes. De-hardening in perennial grasses could increase the risk of frost kill. In this study, the resistance to de-hardening of different grass species and cultivars was examined, and whether the resistance changes during winter or between years, was tested. In Experiment 1, two cultivars of timothy (Phleum pratense L.) and perennial ryegrass (Lolium perenne L.) of contrasting winter hardiness were grown under ambient winter conditions, transferred from the field in January and April 2006 to the laboratory for 9 d with controlled de-hardening conditions of 3°C, 9°C and 15°C. The timothy cultivars were tested at 3°C, 6°C and 9°C in a similar experiment (Experiment 2) in January 2007. De-hardening, measured as decrease in frost tolerance (LT50), was less in timothy than in perennial ryegrass and increased with increasing temperatures. The northern winter-hardy cultivar Engmo of timothy de-hardened more rapidly than the less-hardy cultivar Grindstad, but had higher initial frost tolerance in both experiments, whereas there was less difference between cultivars of perennial ryegrass in Experiment 1. Cultivar Grindstad of timothy lost all hardiness in early spring at all temperatures, whereas cultivar Engmo maintained some hardiness at 3°C. Cultivar Engmo de-hardened at a lower rate in 2007 than in 2006, in spite of similar frost tolerance at the start of de-hardening treatment in both years. This indicates that the rate of de-hardening was controlled by factors additional to the initial frost tolerance and that autumn weather conditions might be important for the resistance to de-hardening. Kvegdrift i Mellom Amerika fører til avskoging og er en av årsakene til at store deler av regnskogen forsvinner. Ødeleggelsen av regnskogen fører til en rekke problemer; endringer av lokalklimaet, tap av biodiversitet, erosjon og degradering av beitemarkene og jorda. Mer enn 50 % av beitemarkene som brukes i kvegdrifta er degraderte på ulike vis. Regnskogen utgjør et betydelig reservoar for karbon, og avskoginga fører også til store utslipp av klimagasser samt at akkumulering av karbon i vegetasjonen reduseres drastisk. Norheim-Viken, H., Volden, H. & Jørgensen, M. 2009. Effekt av temperatur og daglengde på næringsverdien av timotei. Sensitivitetsanalyser i NorFor Plan har vist at fiberegenskapene INDF (totalt ufordøylig NDF) og kdNDF (nedbrytingshastigheten for potensielt nedbrybar NDF) er fôrkarakteristikkene som har størst betydning for grovfôrets næringsverdig. Nodheim-Viken og Volden studerte kjemisk sammensetning of fiberkarakteristikker hos timoteisortene Engmo dyrket i Tromsø of Grindstad dyrket i Ås. Spesielt resultatene fra Ås viste store variasjoner mellom år i kjemisk innhold og nedbrytingskarakteristikker for NDF når graset var høstet ved samme utviklingsstadium. Denne undersøkelsen viste at klima har stor betydning for grasets næringsverdi. Variasjoner i næringsverdi mellom skyldes både endringer i kjemisk sammensetning i blad og stengel, og endringer i blad:stengel forholdet i planten. Med bakgrunn i dette ble det under kontrollerte betingelsert testet effekt av temperatur og daglengde på næringsverdien av blad og stengler, og blad:stengel forholdet, for en nordlig og en sørlig sort av timotei høstet ved tre definerte utviklingsstadier. Rapport – Effekt av temperatur og daglengde på næringsverdien av timotei. Nordheim-Viken, H., Volden, H. & Jørgensen, M. 2009. Effekt av temperatur og daglengde på næringsverdien av timotei. Husdyrforsøksmøtet 2009:123-126. Bioforsk-konferansen 2009. Mat, vann og klima. Bioforsk FOKUS 2(4) 2009. s. 206-207. Grønt plantevev i vekst inneholder den ernæringsmessig gunstige omega-3-fettsyren α-linolen. Beiteplanten smyle i et nordlig fjellbeite hadde ikke forskjeller i konsentrasjon av α-linolensyre med hensyn til høstetidspunkt eller nord/sørhelling, men planter ved høyere lokaliteter ble funnet å ha lavere konsentrasjon av spesielt α-linolensyre. Populærvitenskapelig – Hvordan vil endret klima påvirke overvintring og grasvekst i Norge? Bioforsk-konferansen 2009. Mat, vann og klima. Bioforsk FOKUS 2(4) 2009. s. 72-73. Klimaet er i rask endring. Konsekvenser for grasproduksjon i 2071-2100 er inntil tre måneder lengre vekstsesong, med mulighet for å øke antallet høstinger og/eller forlenge beitesesongen i tilsvarende grad. Risikoen for frostskader om høsten/vinteren og isdekkeskader vil minke de fleste steder i følge modellberegninger for seks steder, mens risikoen for frostskader etter vekststart vil øke noe enkelte steder langs kysten. Taugbøl, O., Devold, T., Eknæs, M., Jørgensen, M., Randby, Å., Skeie, S., Steinshamn, H., Vegarud, G., Volden, H. & Ådnøy, T. 2009. Kvalitetsmjølk for kvit geitost - presentasjon av samarbeidsprosjekt. Husdyrforsøksmøtet 2009:579-580. Many consumers perceive lamb meat from mountain pastures to be of superior quality, a quality that may be altered if lambs are kept for a longer period on cultivated pastures before slaughtering. The objective of this experiment was to compare sensory profile and fatty acid composition in meat from lambs slaughtered directly from unimproved mountain pastures with meat from lambs raised on unimproved mountain pastures and fattened on biodiverse cultivated pastures for 26, 39 and 42 days before slaughtering. The experiment was conducted at two different locations in Norway in 2006 and 2007, with a total of 124 Norwegian Crossbred Sheep lambs. Loin samples of M. Longissimus dorsi from lambs above a body weight of 40 kg were selected and analysed for sensory attributes. Fatty acid composition was determined in the subcutaneous fat over the Longissimus dorsi. Small but significant differences were found in hardness, tenderness, fattiness, metallic and rancid flavour, and in polyunsaturated fatty acids. This indicates that to a small extent pre-slaughter fattening on cultivated pastures alters meat characteristics. (C) 2009 Elsevier Ltd. All rights reserved. Østrem, L., Höglind, M. & Jørgensen, M. 2009. Vinterbiologi i endra klima — vassoverskot. Bioforsk FOKUS 4(2):80-81. Vassoverskot om hausten og vinteren har i forsøk ikkje gitt eintydig negativ effekt på frosttoleranse i timotei og engelsk raigras. Dette betyr at risikoen for at meir regn skal svekke overvintringa kan vere mindre enn venta. Temperatur er truleg ein viktig tilleggsfaktor både om hausten, der planter ved høg temperatur vil trengje vatn, eller om vinteren der høg temperatur og vassoverskot kan hemme omsetninga og dermed svekke plantene. Bioforsk-konferansen 2009. Mat, vann og klima. Bioforsk FOKUS 2(4) 2009. s. 80-81. Bioforsk-konferansen 2009. Mat, vann og klima. Bioforsk FOKUS 2(4) 2009. s. 82-83. Evnen til å overleve under isdekke er undersøkt i flere sorter timotei og raigras. Timotei tålte isdekke betydelig bedre enn flerårig raigras. Timotei overlevde fra 30 til over 60 dager under isdekke mens raigras bare overlevde mellom 10 og 20 dager. Foredrag – A milder and wetter climate: Implications for winter survival of perennial grasses. Jørgensen, M., Höglind, M., Østrem, L., Bakken, A.K. & Thorsen, S.M. 2008. A milder and wetter climate: Implications for winter survival of perennial grasses. Foredrag – Effect of increased autumn temperature and CO2 concentration on winter survival in Lolium perenne. Introduction: The aim of the present study was to investigate how a temperature increase during autumn will affect frost hardening, winter survival and spring growth of perennial ryegrass (Lolium perenne L.) on a coastal location in Norway, at the present and a future CO2 level. Conclusions: The predicted increase in CO2 will have a limited effect on the frost hardening in this environment. A temperature increase of 2 "C in the autumn will delay hardening and reduce the frost tolerance to some extent. However, the best available cultivars will in most cases be frost hardy enough even with this small reduction. Vitenskapelig – Effects of defoliation on carbohydrate status, nodules and spring growth in white clover in a sub-arctic climate. In order to improve the basis for utilizing white clover (Trifolium repens L) in northern agriculture, we studied the effects of defoliation intensity on spring growth in a sub-arctic climate in relation to carbohydrate and nodule status. White clover plants (cv Snowy) were studied in a pot experiment in the field on the coast of northern Norway from spring 2001 until spring 2002. The experiment was repeated with some modifications from spring 2002 until spring 2003. During the growing season from summer to autumn, the plants were totally stripped of leaves down to the stolon, cut at four or seven cm height or left undisturbed. The plants were sampled destructively in autumn, early spring and late spring and sorted into leaves, stolons and roots. The plant material was weighed and analysed for carbohydrate reserves and nodule number. Defoliation during the growing season resulted in reduced concentration of reserve carbohydrates in autumn and reduced winter survival of the stolons. The most severe defoliation treatment reduced the herbage growth in spring. In contrast, the two milder defoliation treatments had no effect on herbage growth during spring or on total plant dry matter and nodule status in late spring. In conclusion, moderate defoliation during the growing season had no effect on herbage growth the following spring nor on carbohydrate, nodule or dry matter status of the plant in late spring. Moderate defoliation increased spring growth and thereby also the nitrogen demand of the plants. This probably enhanced nodule formation and development of inactive to active nodules. Timotei hadde større toleranse til isdekke enn flerårig raigras. Det var en sterk korrelasjon mellom isdekketoleranse og frosttoleranse, og sorter som er mer frosttolerante overlevde lengre under isdekke enn mindre froosttolerante sorter. Både frosttoleranse og isdekketoleranse økte fra november til januar, men avtok deretter i mars. Jørgensen, M., Østrem, L., Bakken, A. & Höglind, M. 2008. Effects of ice encasement during winter on different cultivars of Phleum pratense and Lolium perenne in Norway (Poster). Multifunctional Grasslands in a Changing World International Grassland and VIII International Rangeland Congress, Hohhot, Inner Mongolia. NIBR-rapport, 2008(30) 2008. 146 s.
Blanco, M., Jørgensen, M., Wiig, H. & Perez, E. 2008. Evaluación del proyecto CATIE Pasturas Degradas en America Central. NIBR-rapport 2008(30). 146 s. Norwegian Institute for Urban and Regional Research, Oslo. 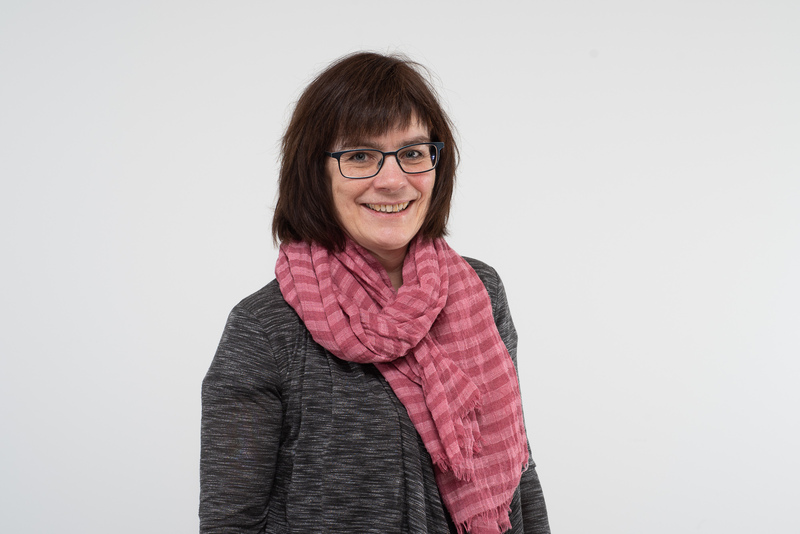 Tilgjengelig fra: http://www.hioa.no/Om-HiOA/Senter-for-velferds-og-arbeidslivsforskning/NIBR/Publikasjoner/Publikasjoner-norsk/Evaluacion-del-proyecto-CATIE-Pasturas-Degradas-en-America-Central. Este proyecto de validación de sistemas ganaderos sostenibles en mérica Central usando metodologías participativas ha mejorado el entendimiento de ese tipo de sistemas entre los pequeños productores ganaderos y extensionistas. Sin embargo la falta de esos servicios públicos dificultó el desarrollo del proyecto, el cual respondió lentamente en encontrar vías alternativas. Østrem, L., Jørgensen, M. & Höglind, M. 2008. Growth and development in cultivars of Phleum pratense and Lolium perenne during winter (Poster). Multifunctional Grasslands in a Changing World., Hohhot, Inner Mongolia. Populærvitenskapelig – Hvordan vil endret klima påvirke grasveksten på Jæren? Höglind, M., Thorsen, S.M., Østrem, L. & Jørgensen. 2008. Hvordan vil endret klima påvirke grasveksten på Jæren? Bondevennen. http://www.bondevennen.no/arkiv/fagartiklar/index.htm. Klimaet er i rask endring. Konsekvenser for grasproduksjon på Jæren i 2071-2100 er bortimot tre måneder lengre vekstsesong, med mulighet til å øke antallet høstinger og/eller forlenge beitesesongen i tilsvarende grad. Risikoen for frostskader om høsten/vinteren og isdekkeskader er allerede små og vil minke ytterligere, mens risikoen for frostskader etter vekststart sannsynligvis vil øke noe, selv om økningen ikke er stor. Artikkelen omtalar korleis eit venta mildare og våtare klima med større svingingar mellom frost og varme, vil påverka overvintringa i gras. Slike problemstillingar blir studert ulike stader i landet i eit prosjekt i Bioforsk. Milde haustar gir dårleg herding av graset, og både i Tromsø (Holt) og i Fjaler (Fureneset) såg ein at graset tolde mindre frost om vinteren etter milde og våte haustar samanlikna med kaldare og tørrare vér. På same vis vil herdinga påverka kor lenge grasplantene held på frosttoleransen. Utviklinga i timotei og fleirårig raigras varierer gjennom vinteren. Timotei samlar opp meir karbohydrat enn fl.årig raigras, men ikkje minst er plantesvinnet om vinteren mykje mindre i timotei slik at arten har meir tilgjengelege næringsreservar om våren enn fleirårig raigras. Populærvitenskapelig – Kva skjer i grasplantene om vinteren? Jørgensen, M., Østrem, L. & Höglind, M. 2008. Overvintring av gras. Foredrag – Overwintering of forage grasses in Norway from a climate change perspective. Jørgensen, M., Höglind, M., Østrem, L., Bakken, A.K. & Thorsen, S.M. 2008. Overwintering of forage grasses in Norway from a climate change perspective. Økt CO2 konsentrasjon stimulerer vekst om høsten, men hadde mindre effekt på frosttoleranse. En temperaturøkning på 2°C om høsten utsetter herding og frosttoleranse til en viss grad. Milde perioder midtvinters kan føre til sterk avherding, og kapasiteten til reherding ser ut til å avta utover vinteren. Vassmetting for 1 mnd hadde ingen effekt på frosttoleranse. Höglind, M., Jørgensen, M., Østrem, L., Bakken, A. & Thorsen, S.M. 2008. Overwintering of timothy and perennial ryegrass in Norway from a climate change perspective (Foredrag). 22nd EGF General Meeting on “Biodiversity and animal feed – future challenges for grassland production, Uppsala. Fleirårig raigras hadde større overjordisk biomasse og skotproduksjon om hausten samanlikna med timotei. Denne skilnaden jamna seg ut fram til våren pga ein stort tap av raigrasskot om vinteren. Dette skottapet medførte også ein omfattande reduksjon i karbohydrat pr areal i raigras. Timotei hadde lite tilsvarande tap gjennom vinteren, ein fekk ein liten auke i karbohydratmengde og oppnådde høgre grad av frosttoleranse. Foredrag – Arktisk lammekjøtt - har nordlige produkter spesielle kvaliteter? Jørgensen, M. 2007. Effekt av omløp og gjødsling på avling, fôrkvalitet og jord. Plantemøtet Vest 2007. Scandic Bergen Airport Hotell, Bergen. 6. - 7. mars 2007. Bioforsk FOKUS 7(2) 2007. s. 11-15. Den botaniske sammensetningen påvirker fôrkvalitet og avlingsnivå i eng. Varig eng med allsidig sammensetning av gras og urter kan ha like høy fôrkvalitet som intensivt drevet raigraseng. Under Vestlandsforhold var imidlertid avlingsnivået høyere i eng dominert av timotei. Samtidig påvirker både plantebestanden, gjødsling og omlegging jordsmonnet. Eng som ikke pløyes akkumulerer mer organisk material enn eng som er i omløp. I eit forsøk med ulik såtid med timotei og fleirårig raigras, hadde timotei større rotdanningskapasitet samanlikna med fleirårig raigras om vinteren og våren. Evna til rotdanning var påverka av såtid, og sein såing (juli) gav betre rotgjenvekst neste vår samanlikna med tidleg sådde (mai) planter når plantene vart utsette for moderat frosteksponering. Karbohydratmengda auka gjennom vinteren. Landbruk i Barents. Kunnskap for framtida! Tromsø 17. – 19. april 2007. Bioforsk FOKUS 13(2) 2007. s. 60-62. Plantemøtet Østlandet 2007. Bioforsk FOKUS 1(2) 2007. s. 30-31. I et omfattende klimaprosjekt i Bioforsk undersøker vi effekten av ulike faktorer på overvintringsskader, samt frost- og istoleranse i gras. Temperatur er sannsynligvis den viktigste enkeltfaktoren, mens økning i CO2-innhold og nedbørsmengde betyr mindre. Mildvær midtvinters vil gi raskere avherding, og store fluktuasjoner i været kan gi økning i isskader enkelte steder. Foredrag – Hvordan påvirker milde perioder om vinteren fôrgrasa? Jørgensen, M. 2007. Hvordan påvirker milde perioder om vinteren fôrgrasa? Hvordan påvirker milde perioder om vinteren fôrgrasa? Populærvitenskapelig – Hvordan påvirker milde perioder om vinteren fôrgrasa? Landbruk i Barents. Kunnskap for framtida! Tromsø 17. – 19. april 2007. Bioforsk FOKUS 13(2) 2007. s. 58-59. Vinterherdige sorter av timotei og flerårig raigras avherdes like hurtig som mindre vinterherdige sorter når de utsettes for milde perioder om vinteren. Men fordi de har høyere frostherdighet i utgangspunktet, kreves det høyere temperatursum for at de skal avherdes helt. Jørgensen, M. 2007. Klimaendring og muligheter for økologisk matproduksjon i nord. Poster – Lam på innmark eller utmark - er det ett fett? Populærvitenskapelig – Lam på innmark eller utmark - er det ett fett? The ability of perennial grasses to maintain frost hardiness throughout the winter, and to resist dehardening during periods of mild weather is crucial for winter survival in the northern region. We tested the effects of dehardening conditions on two contrasting varieties of timothy and two of perennial ryegrass. The plants were grown in pots placed close together in the field to simulate sward conditions. Dehardening treatments started in January and April when bags with plants were brought from the field into a phytotron and treated with 3o, 9o and 15oC, 12 h light. The degree of dehardening was measured as loss of frost tolerance (LT50) after the plants were exposed to the dehardening conditions for 0, 2, and 6 and 9 days. Perennial ryegrass was less frost hardy than timothy, and in April the ryegrass plants were in bad shape and had lost almost all hardiness. The `Engmo" timothy had an initial higher degree of frost hardiness than `Grindstad" timothy both in January and April. However, `Engmo lost frost hardiness at the same rate or quicker than `Grindstad" when exposed to 9o and 15oC both in January and April. It however maintained almost all hardiness at 3oC, whereas Grindstad also at this temperature dehardened substantially. The study did not confirm the hypothesis that the more winter hardy cultivars deharden more slowly than the less frost tolerant cultivars. However, further studies need to be conducted to investigate in more detail whether there is a differing cardinal temperature for dehardening between cultivars. The growth and development of frost tolerance (LT50) of four cultivars of timothy and four of perennial ryegrass was followed from autumn to spring at Holt (69º N) and Særheim (58º N). The plants were grown in pots placed close together in the field to simulate sward conditions. Most cultivars achieved a higher level of frost hardiness at Særheim than at Holt. The exception is `Engmo" timothy that achieved similar frost tolerance at both locations, and `Riikka" perennial ryegrass that reached higher frost tolerance at Holt. At Holt, all cultivars of both species showed their maximum frost tolerance in January. At Særheim, all ryegrass cultivars showed their highest frost tolerance in January, whereas all timothy cultivars showed their maximum in March. Substantial dehardening occurred from January onwards at Holt, and from March onwards at Særheim. Partial ice encasement in the pots at Holt can probably explain, to a large degree, the rapid loss of frost tolerance from January to March. There was a much larger loss of tillers during winter at Holt compared to Særheim, and in perennial ryegrass compared to timothy. The data will be used in the development of a simulation model for grass overwintering. A major challenge in the modelling seem to be the interaction between ice encasement and frost hardiness: on one hand, frost hardiness and ice encasement tolerance are often positively correlated; on the other hand, ice encasement can severely reduce frost hardiness. Foredrag – New white clover cultivars in Norway - effects on yield, feed quality and persistence. In this study four Norwegian white clover cultivars were compared with the Danish variety Milkanova under farm site conditions in the different climatic conditions of Norway. A series of field experiments were established with five different white clover cultivars sown in grass mixtures. The swards were defoliated at a sward height of 20 cm to simulate grazing. There were no clear differences in yield production or clover content between the cultivars in the southerly/lowland regions when averaged over three years. Milkanova is a relatively high yielding variety, but has a poor overwintering capacity. The grass/clover mixtures containing Milkanova had the highest yield in the first years of the experiment, but the yields declined and tended to be lower than other cultivars in the third year, with significantly lower clover content. In the alpine/northerly regions, grass/clover mixtures containing Milkanova had lower yield, and lower clover content from the start of the experiment. Both protein, ash and NDF contents were closely linked with white clover content in the swards; with more protein and ash less NDF in plots containing more clover. Feed quality was lower in 3rd cut than in 1st cut. To sortar av timotei og fleirårig raigras med ulik veksttid fram til herding, vart undersøkt m.o.t. evne til rotvekst gjennom vinter (3 uttak) og vår (1 uttak). Planter vart utsette for moderat froststress ved kvart forsøksuttak. Resultata viste at for timoteisortane hadde den nordlege sorten Engmo større rotvekst om våren enn den meir sørlege sorten Grindstad. Forsøket viste at timotei og raigras hadde ulik rotregenereringsevne i same forsøksperiode. Om våren viste alle sortane større rotvekst etter sein såing året før. Resultater viser at høsteregimet influerer på kvitkløverens innhold av N om høsten, tapet av N fra stoloner gjennom vinteren, og akkumulasjon av N i nye blad om våren. Resultatene antyder også at N tapt fra kvitkløveren gjennom vinteren kan være svært mobilt. Foredrag – Effects of defoliation regimes on yield and fodder quality in permanent grassland and short-term leys. Long-term field experiments including short-term leys and permanent swards were conducted from 1968 to 1990 at the southwest coast (Særheim) and in the north of Norway (Svanhovd). The experiments were treated with three defoliation regimes. Results averaged over two years (1984, 1986) on total DM yield, crude protein (CP), crude fibre (CF) and botanical composition are reported. DM yields and content in CF were lower at the northern than at the southwestern site. The DM yields were similar, but the CP content higher in permanent swards compared with leys. The defoliation regimes had no effects on yield levels, but affected fodder quality. Sheep-grazed swards had a higher content in CP and a lower content in CF than cut or cattle-grazed swards at Særheim, whereas CP was highest in cut swards at Svanhovd, with no differences in CF content. Sheep-grazing on permanent swards lead to increased amounts of Lolium perenne in the southwest, while cut swards were dominated by the unsown Agrostis gigántea (Roth). At the northern site, Deschampsia cespitosa (L.) dominated the sheep-grazed swards while Poa pratensis dominated cut or cattle-grazed swards. M.T. Sebastià, A. Lüscher, J Connolly, R.P Collins, I. Delgado, A. De Vliegher, P. Evans, M. Fothergill, B. Frankow-Lindberg, A. Helgadóttir, C Iliadis, M. Jørgensen, Z Kad\"iuliene, O. Nissinen, D. Nyfeler, C. Porqueddu. 2004. Higher yield and fewer weeds in grass / legume mixtures than in monocultures - 12 sites of COST action 852. Proceedings of the 20th General meeting of the European Grassland Federation, Luzern, Switzerland, 21-24 June 2004, pp 538-540. A common experiment was established in 39 sites in Europe, Australia and Canada within Working Group 2 of COST action 852 to 1) assess the benefits of grass / legume mixtures over monocultures, 2) test their stability and 3) evaluate the consistency of the observed patterns over broad environmental gradients. Results of the first harvest from 12 sites covering a North-South gradient from Iceland to Spain suggest that mixing grasses and legumes enhances productivity and increases the stability of the sward by reducing weed invasion. Mixing fast- and slow-growing grasses was found to provide yield benefits in a few sites, but mixing fast- and slow-growing legumes did not produce any effect. Effects of fast- and slow-growing species are expected to become more important over time, when succession of the species may increase the stability of the mixtures. The emerging patterns were quite consistent and, due to the large environmental gradient taken into account in this study, they are considered to be reliable. Driftsintensitet i form av høstestress har ulike effekter på planter. Innlagring av opplagsnæring og nitrogenfiksering blir negativt påvirket av intensiv høsting. Bladveksten prioriteres av planten på bekostning av rotvekst. Kvitkløver trives best dersom konkurransen fra høytvoksende gras begrenses ved en relativt hyppig høsting, men kan bli negativt påvirket ved for sterk høsting. Rødkløver er generelt betraktet som lite tolerant overfor intensiv høsting, men effekten av høstestress på levealder og fysiologi er ikke undersøkt i detalj. White clover (Trifolium repens L.) is a perennial legume forming nitrogen fixing symbiosis with the soil living bacteria Rhizobium leguminosarum bv. trifolii. The species is the most important pasture legume in temperate zones, despite the fact that it grows poorly at low temperatures. The poor growth at low temperatures currently restricts utilization of the species as a natural nitrogen source in northern areas. Both nitrogen fixation and growth of white clover is limited in spring, probably due to low temperatures. This drawback is particularly pronounced under northern climatic conditions where temperatures are low during most of the growing season. Better understanding of the growth and nitrogen dynamics of white clover at low temperatures is vital for successful management of white clover/grass pastures and optimisation of biological nitrogen fixation, especially at northern latitudes. In a research project with field experiments conducted under different climatic conditions, we are studying winter survival, spring growth and nitrogen dynamics of white clover in relation to its physiological condition. We are especially focusing on below ground biomass and the functioning and longevity of roots and nodules. The physiological condition of the plants is manipulated by the use of different defoliation regimes during the growing season. The field experiments are situated at two locations (Apelsvoll at 61°N, and Tromsø, 690N). Preliminary results will be presented. Populærvitenskapelig – Vekst og utvikling hos belgvekster i nordlig klima. Temperatur er en av de viktigste enkelfaktorene som påvirker vekst og utvikling hos kløver. De lave temperaturene i de nordlige områdene fører til lavere vekstrate og høyere rot - skudd forhold. Temperaturen påvirker også morfologien til plantene slik at lav temperatur fører til mindre og kortere blad og kortere, tykkere stoloner eller utløpere. Nitrogenfiksering hemmes også ved lav temperatur. Lang dag har imidlertid en motsatt effekt på veksten hos kløver og fører til større og lengre blad, lengre stoloner og høyere vekstrate. Effekten av daglengde på nitrogenfiksering er ikke helt klarlagt. Innblanding av Norstar Kvitkløver i såfrøblanding for engdyrking i et tradisjonelt 2 slåttsystem ved Planteforsk Vågønes Forskingsstasjon har gjennom 4 engår vist en gjennomsnittlig avlingsreduksjon per vekstsesong på 23 % tørrstoff per daa, i forhold til graseng uten innslag av kløver. Et gjødslingsnivå på 19 og 7 kg N per dekar per år for henholdsvis graseng og kvitkløvereng, samt høsteregimene som ble brukt er faktorer som må anses for å ha hatt innflytelse på de resultater som er oppnådd. Avlingsreduksjonen i forhold til grasenga har vært større ved 1. slått enn ved 2. slått. Kvitkløveren har vært bedre representert i enga ved 2. slått enn ved 1. slått, og har etablert seg med en jevnere bestand i de siste engår. Gjennomsnittlig andel av kløver i enga har vært 13 og 23 % av tørrstoff ved henholdsvis 1. og 2. slått. Forventede effekter på kjemisk sammensetning ved kløverinnblanding er i større grad oppnådd ved 2. slått enn ved 1. slått. Dette skyldes sen vekststart om våren hos kløveren og lav konkurranseevne i forhold til de øvrige artene i bestanden frem mot 1. slått. Ensileringsforsøk har ikke påvist problemer med å oppnå godt gjæringsforløp og god surfôrkvalitet ved kløverinnblanding og ved ulike utviklingsstadier i enga. I fordøyelighetsforsøk gjennomført på sau har kløverinnblanding i surfôr gitt økt fordøyelighet av både tørrstoff, organisk stoff, fett, og NDF. Gjennom fôringsforsøk på melkeku er det ikke påvist signifikante effekter av kløverinnblanding verken på fôropptak, melkeytelse, melkekvalitet i form av kjemisk sammensetning og smak, eller på vektendring hos dyra. Innhold av fiber i gras blir i ernæringsmessig sammenheng uttrykt som NDF (Neutral detergent fibre). NDF består av en fordøyelig del (PNDF) og en ufordøyelig del (UNDF). For å studere ulike egenskaper ved NDF, og hvordan disse varierer med bl.a. utviklingsstadium og vekstsesong, ble prøver fra tidligere utførte feltforsøk og fra et forsøk i klimalaboratorium benyttet. Materialet ble også benyttet til å teste ut to metoder for rutinemessige undersøkelser av UNDF. I denne artikkelen er endel resultater fra dette arbeidet presentert. Resultatene er foreløpige og viser kun trender i materialet. Mens innholdet av NDF i % av tørrstoff endret seg lite etter skyting, økte andelen av UNDF (% av NDF) med utviklingsstadium. Dette var også tydelig i prøver fra forsøk i klimalaboratorium. Forskjellen mellom ulike vekstsesonger var tydelig, særlig for UNDF. En årsak til dette var at de klimatiske betingelsene var svært forskjellig de ulike vekstsesongene. NIR metoden estimerte UNDF godt, med verdier for R2 på henholdsvis 0,86 når UNDF var uttrykt i % av NDF, og 0,90 når UNDF var uttrykt i % av tørrstoff. ANKOM metoden så også ut til å estimere UNDF godt, med en R2 på 0,87. Det ble prøvd ut forskjellige kjørebelastninger i kombinasjon med forskjellige gjødslingsmengder på ulike jordarter i gras i Bodø. Populærvitenskapelig – Nye sorter av kvitkløver passer godt til nordlige områder. To nye sorter, Norstar og Snowy, har blitt utviklet ved Planteforsk Holt i Tromsø. Disse nye sortene kan erstatte den danske sorten Milkanova slik at det blir økonomisk forsvarlig å dyrke kvitkløver også i nord. Norstar har gode overvintringsegenskaper og er en sort som er utviklet for fjellbygder og nordlige strøk. Snowy har større avlingspotensial og er utviklet for lavereliggende strøk av Østlandet, Vestlandet og Trøndelag. I forsøk ved Planteforsk Holt var det ingen forskjell mellom de to sortene i avling i snitt for fire engår. I år med vanskelige overvintringsforhold vil Norstar være mest avlingssikker i Troms. Snowy har relativt dårlig overvintringsevne i forhold til Norstar. I utsatte vintrer vil den derfor kunne overvintre dårlig og gi dårligere resultat enn Norstar. I en forsøksserie med kvitkløversorter til beite lagt i forsøksringer over hele landet, ble de nye kvitkløversortene Norstar og Snowy og to nummersorter prøvd ut i blanding med gras. Sortene ble sammenlignet med den danske sorten Milkanova, og med reint gras. De nye sortene var generelt bedre enn Milkanova over hele landet, også på Vestlandet og på flatbygdene. Snowy er mer storvokst og gir bedre avlinger enn Norstar og bør foretrekkes ved gode overvintringsforhold. Norstar har god overvintring og har vist best potensial i områder med innlandsklima. Kløver-grasblandinger ga avlinger som har lå høyt over avling av reint gras. I et tilsvarende forsøk ved Planteforsk Holt, Tromsø, var avlingene av Snowy høyere enn av Norstar i snitt for 4 engår, mens Milkanova nesten gikk ut. Kløver hadde en positiv effekt på fôrkvalitet, med økt proteininnhold og lavere NDF. Resultatene viser også at kvitkløver har et høyt potensial for nitrogenfiksering med verdier opp mot 9 kg fiksert N per daa og år. Hensikten med denne undersøkelsen er å studere hvordan en nedgang i avlingene påvirker lønnsomheten i jordbruket i Nord-Norge, og hvordan forskjellige kortsiktige tiltak for å tilpasse drifta til sviktende avlinger i enkeltår påvirker inntektene i næringen. For å studere disse problemstillinger og måle inntektseffekten, er det konstruert en lineær programmeringsmodell (LP modell) for bruk med mjølkeproduksjon i Nord-Norge. Beregningene viser at variasjon i avlinger av grovfôr på grunn av overvintringsskade eller andre forhold har minimal betydning for husdyrproduksjonen, den opprettholdes med kjøp av kraftfôr. Ved store skader kjøpes noe grovfôr. Inntektene reduseres imidlertid fordi heimeavla fôr er rimeligere enn innkjøpt kraftfôr og grovfôr. The effects of cutting, grazing and fertiliser level on the long-term botanical composition were examined in swards established in 1968 at Svanhovd (69027"N 3003"E). The grass swards were sown with a mixture of timothy, meadow fescue and smooth meadow-grass. The swards were either cut only, or cut in combination with grazing either with cattle or with sheep, and fertilised according to common practice in the region or with 150 % of this amount. The botanical composition changed during the experimental period with large fluctuations in the amount of smooth meadow-grass and a notable decrease of timothy and meadow fescue. Both harvesting regime and level of fertiliser had significant effects on the botanical composition. Smooth meadow-grass dominated especially in swards that were ungrazed or grazed by cattle. In sheep grazed swards, tufted hair-grass dominated completely after some time, especially at the lower fertiliser level. Native grasses invaded the ungrazed swards to some extent, but were mainly couch grass at the higher fertiliser level and common bent and couch grass at the lower fertiliser level. Systems of Rearing Animals and Economy of Production at the Beginning of the New Millennium, 2001. Asheim, L.J., M. Jørgensen & Ø. Havrevoll. 2001. Managing Dairy Farms in Northern Norway with failing Yields of Roughage. The 6th international Symposium -\"Systems of Rearing Animals and Economy of Production at the Beginning of the New Millennium\", 4 -6. Oct. 2001, Belgrade-Zemun, Jugoslavia. Due to the climate the yields of roughage in Northern Norway are considerably lower and more variable than in other parts of the country. The problems relate to severe winter damage on meadows caused by snow, ice carpet and low temperatures. A linear programming model representing an average milk farm of the province has been worked out to study the farm economy of different short-term measures. The model is based on farm accounts in the area and calculates the farm profit in the price level and support regime of the year 2000. The model crop yields are based on field research trials in area. The study shows that the production problems can be overcome by increasing the purchase of feed and by adding extra labour and costs to repair the meadow. Vitenskapelig – Managing Dairy Farms in Northern Norway with failing Yields of Roughage. Due to the climate the yields of roughage in Northern Norway are considerably lower and more variable than in other parts of the country. The problems relate to severe winter damage on meadows caused by snow, ice carpet and low temperatures. A linear programming model representing an average milk farm of the province has been worked out to study the farm economy of different short-term measures. The model is based on farm accounts in the area and calculates the farm profit in the price level and support regime of the year 2000. The model crop yields are based on field research trials in area. The study shows that the production problems can be overcome by increasing the purchase of feed and by adding extra labour and costs to repair the meadow. The profitability of the farm is worsened. However, governmental support for restoring the area as well as extra support to buying additional roughage compensate for the extra cost unless more than 50 percent of the meadow have to be restored. Hiring more land may be profitable while advanced slaughtering of animals is unprofitable unless family labour input can be reduced due to higher opportunity values. Farm profit can be improved if cheap roughage can be purchased or own production of roughage can be increased by improving the farm crop yield level. Notat (Norsk institutt for landbruksøkonomisk forskning : trykt utg. ), (21) 2000. 29 s.
Asheim, L.J., Jørgensen, M. & Havrevoll, Ø. 2000. Driftstilpasninger ved sviktende avlinger av grovfôr i Nord-Norge. Notat (Norsk institutt for landbruksøkonomisk forskning : trykt utg.) (21). 29 s. Norsk institutt for landbruksøkonomisk forskning. Foredrag – Effect of cutting regime and grass mixtures on white clover under subarctic conditions. A new white clover cultivar, Norstar, with excellent winter hardiness and good yield potential has been released (1999) for northern and upland parts of Norway. In a field experiment in Tromsø (690 39"N), the dry matter (DM) yield and persistence of Norstar in mixtures with different grass species was studied. The plots were subjected to simulated grazing or cut for silage, and fertilised with a yearly total of 60kg Nha-1. DM yields of the clover and grass components were determined during three growing seasons. The different grass mixtures had no direct impact on DM yield of clover, but in the first year the clover proportion of the total grass/clover yield was lower in mixture with timothy/meadow fescue than in mixture with smooth meadowgrass. However, in the following years the clover proportion of this mixture increased, whereas it declined in the mixture containing smooth meadowgrass. In 1999, the clover content in both mixtures was about 30%. Cutting regime had no influence on clover yield in either of the mixtures. Simulated grazing depressed the grass yield in white clover/timothy/meadow fescue mixtures, but not in white clover/smooth meadowgrass mixtures. In the present study, the growth, dry matter partitioning and morphological characteristics and C exudation of two white clover cultivars, Norstar and AberHerald, were compared, under two temperature regimes (24/18°C and 12/6°C day/night) in a controlled temperature room. Root exudates collected from the two cultivars were also tested on two common soil types from northern Norway to determine the influence of the exudates on microbial activity in those soils. Plants grown at the higher temperatures had greater biomass and lower root:shoot ratio than those grown at the lower temperature regime. The plants growing in the higher temperature regime had a higher N content and concentration. Temperature significantly affected morphological characters and plants grown at the higher temperature had more leaves and growing points, and longer stolons than those grown at 12/6°C. Total organic C in the root exudates was determined on two occasions during the experiment. After 7 days, the concentration in the leachates from the plants at the higher temperature was significantly greater, but after 34 days, the concentrations were much more variable from plant to plant and no significant differences were seen. There were no significant differences in the rate of O2 uptake and utilisation by either the peat or mineral soils given exudates collected from plants growing at the cooler temperatures. In soils which were given exudates collected from plants growing at the higher temperatures, the rate of O2 utilisation by the mineral soil given the Norstar exudates was significantly lower than the other three combinations. Foredrag – Impact of temperature and cultivar on nutrient flow from white clover to perennial ryegrass. 5th research conference, British grassland society, 2000. Murray, P.J., Davies, B., Cliquet, J.B. & Jørgensen, M. 2000. Impact of temperature and cultivar on nutrient flow from white clover to perennial ryegrass. 5th research conference, British grassland society, 11-13 Sept 2000, Aberdeen, Skottland. Transfer of nitrogen from clover to grass can be an important component in nutrient cycling, especially in poor soils. Plant root exudates are an important source of carbon and nitrogen in the rhizosphere and may actively contribute to grass growth and nutrient uptake. It has been shown that nitrate and ammonium uptake by white clover can be influenced by temperature, but little work has been done to determine the effect of temperature on substrate release from white clover roots and subsequent effects on grasses. Stresses imposed on clover plants may change the form and quantity of root exudation and will effect the general carbon and nitrogen economy of white clover. The ways in which temperature stress affects nutrient uptake and root exudation of clover and ryegrass were studied in this project. Foredrag – Effects of N-level on white clover grown in mixture with smooth meadow-grass in a field experiment in Northern Norway. Mixtures of white clover and smooth meadow-grass and pure stands of grass were treated with 0, 40, 80 or 120 kg N ha-1. Yields were compared between all treatments and the proportion of white clover in the mixtures was determined. N2 fixation was estimated by the N-difference method. The experiment was established in 1996 on a sandy loam in Tromsø (690 39"N), northern Norway, under subarctic conditions. The clover/grass mixtures yielded more than pure stands of grass. N-levels significantly affected the dry matter production of the grass, but much less of the mixtures. As N-levels increased from 0 to 120 kg N ha-1 , the yields of the mixture rose from 4.1 t ha-1 to 5.3 t ha-1 while the yields of the grass in pure stand increased from 1.2 t ha-1 to 4.8 t ha-1. Increasing N-levels caused a decrease of the proportion of white clover in the mixtures. With 0 kg N application, white clover made up 63% of the total dry matter yields, whereas at 120 kg Nha-1 the proportion dropped to 19%. Correspondingly, N-application strongly depressed the yields of fixed N2 from 91 kg N ha-1 when no fertilizer N was added, to 30 kg N ha-1 at the highest N-level. Populærvitenskapelig – Hvordan oppnår vi stabile grasavlinger? Våronnavisa Nordpå, Nytt og nyttig fra Forsøksringene (LFR-Troms og Finnmark), 1999. Populærvitenskapelig – Kløver i enga gir billig gjødsel og bedre fôr. Populærvitenskapelig – Kvitkløver i nordnorsk eng og beite. Legitimiteten og lønnsemda i norske drøvtyggarproduksjonar er utfordra av høge og stadig stigande grovfôrkostnader. Prisen per fôreining grovfôr er på mange bruk høgare enn for innkjøpt kraftfôr, og investeringar i maskiner, teknisk utstyr og infrastruktur utgjer ein stor del av kostnadene. For å snu denne trenden, trengst kunnskap om korleis ein kan auke utbyttet og redusere kostnader, og ikkje minst korleis tiltak med dette som mål skal vegast opp mot kvarandre når det er aktuelt.